In reference to the article published by the Daily Post, signed by Mr. David Boakye, the SRC President of University of Cape Coast, dated Friday 24th January, 2014, TEIN CAPE COAST deems it necessary to react to some of the issues that were raised in that statement. First and foremost, the SRC president made a claim that there are “daily increases in prices of goods in the country’’ and actually entreated the National Security to arrest that instead of carrying out their constitutionally mandated duty. We think this is a highly unfortunate and an unintelligent assertion on the part of the S.R.C. President as there is no evidence to back his claims. It is also very pathetic for a student leader of his caliber to imagine that the duty of the National Security is to arrest his so-called “daily increases in prices of goods”. The statement also claimed that the project that the said contractor was working on is fully sponsored by students. This is absolutely misinforming, fallacious and in fact a frustrating disappointment. Our enquiries enabled us gather reliable information that the construction of the University Sports Complex is actually being financed by the University as it prepares to host the 2014 GUSA games. The SRC has no budgetary allocation to support this project let alone fully sponsoring it. This mendacious attitude of the SRC president is condemnable and as such students of UCC are fast losing trust and confidence in him. Another shameful act that was exhibited in the press statement had to do with the very harsh and licentious language that was used to describe the National Security in the course of performing their duty. He described the action of the National Security as “irresponsible”. He also had the nerves to threaten the National Security to within 24hours, release the said contractor . We don’t intend to speak for the National Security but as to what warranted such a reckless utterance, he must prove it. 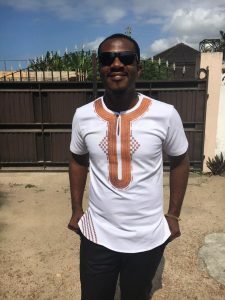 Students of the University Of Cape Coast are being educated to become highly dignified intellectuals and trained to be responsible gentlemen and ladies, polite and above all law abiding citizens. It is therefore a great shock and indeed a disappointment that such unacceptable utterance could come from none less than a personality of his caliber. He has indeed greatly marred the image of UCC and the entire student body. 1. The SRC President tried to use the powers entrusted him by the discerning students of UCC to pioneer a needless propaganda against the government. This is quite clearer when he sharply diverted from the main issue and started spreading miserable falsehood that there are daily increases in prices of goods in the country. 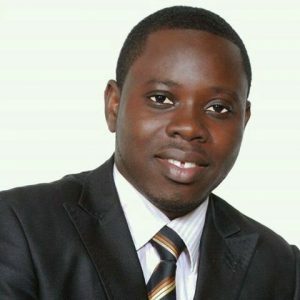 It is also on record that, the SRC President of UCC is a constituency secretary for the NPP at the Techiman North. Even the publishers of his press statement, the Daily Post news paper, displayed his photographs in clear NPP colours. 2. 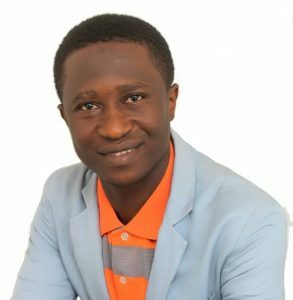 His action to an extent exhibited a great disregard to the University authority and the entire executive committee of the SRC. 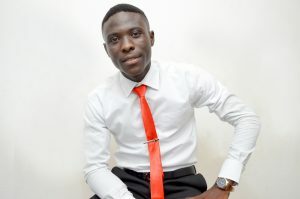 It is said in our local parlance that, “when a goat barks at a thief in the presence of the dog, that dog should bow its head in shame” This emphasizes the ‘all knowing’ attitude of the SRC president since he saw no need to consult and suggest to the University authorities but deliberately broke protocol to acting far beyond his level, all in the name of scoring a cheap political goal. None of His other executives had the least knowledge of what was happening. This action is condemnable; it is deviant and above all a misrepresentation of the supreme interest of student of the University Of Cape Coast. 3. The most disgraceful thing among them all was the unpardonable intellectual incompetence that accompanied the entire press statement. The frustrating grammatical errors might not have wrongly depicted the caliber of students that are trained here only; it brought the efforts of his lecturers down to zero. If he had consulted at least his other executives, they probably would have saved us this big shame. If the SRC could write English in this pathetically bizarre way, then one would be on good grounds to wonder how He sailed through his communicative skills examinations. We hereby entreat the SRC president to operate above partisan levels and be a father for all. The SRC is not a political party’s offspring hence must not be used to champion any political party’s agenda. We also think that he must render an apology to the students as well as the University management for his misconduct. The entire nation also deserves his apology for throwing dust into our eyes. We would also like to advise him to listen more than he talks and speak like someone who has been to school to avoid further shameful and myopic decisions in the future.